A bit before the release of the theatrical Nicholas Nickleby (2002) (read my review here) the BBC released a miniseries adaptation of Charles Dickens's classic entitled The Life and Adventures of Nicholas Nickleby (2001). It seems that not too many people have heard of this adaptation so I thought I'd review it and let ya'll know what makes this version special! Be aware as you read that I haven't read the book so am not able to compare it to the original novel. Plot: When Mr. Nickleby dies penniless his widow and two teenage children are left at the mercy of his rich but stingy brother Ralph Nickleby. 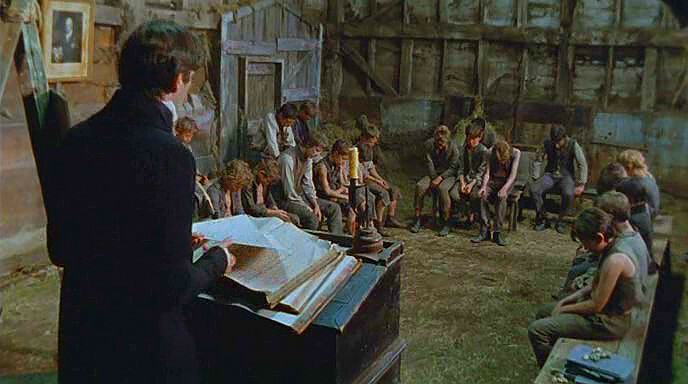 Young Nicholas Nickleby is sent as a teacher to a boys school in Yorkshire where conditions are less than pleasant, and he endeavorers to make life tolerable for his students. When he quarrels with the schoolmaster he travels across the country in search of work with his crippled friend Smike in tow. Meanwhile his sweet sister Kate is set up in as a dressmaker's shop assistant and her uncle introduces her to rich young men in the hopes she'll make a good match. Nicholas meets a wide variety of characters as his story progresses and discovers the mystery behind Smike's parentage. Script: Written by Martyn Hesford (The Old Curiosity Shop 2007) this adaptation devoted 200 minutes to telling a more complete story with extra scenes and details that the 2002 movie doesn't. 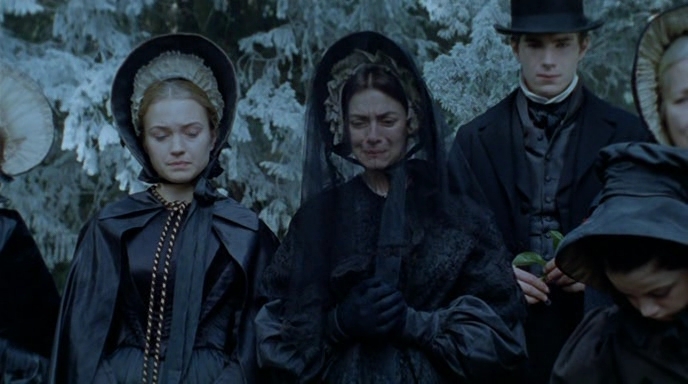 There's more time for the characters to develop especially Nicholas and Kate Nickleby. Extra bits of the story are included such as Fanny Squeer's commical attempts to attract Nicholas (favorite scenes! ), Kate's job at the dressmaker's shop, Madeline Bray's situation, Nicholas's love for her and the Cheeryble's kindness. But the series is short enough that it continues to move at a good pace and is filled with interesting happenings and dialog. Costumes: Kate Nickleby and Madeline Bray have some lovely dresses and hairstyles. The gentlemen have some lovely cravats and hats. Each actor wears clothing that adds a lot to the character they are portraying. Scenes: The Squeer's school is dark and dreary and fairly dirty, you definitely feel very sorry for the boys that have to live there. Madame Mantalini's Shop is filled with interesting colors, fabrics and trimmings. The outdoor scenes are good quality and quite picturesque. 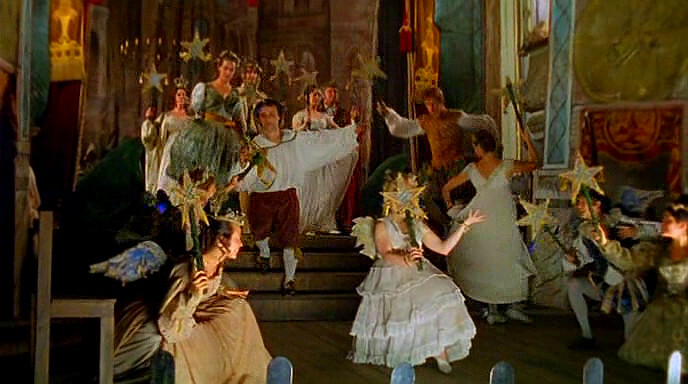 The scenes generally go from darker to lighter as the film and the story progresses. Music: The main theme is a bit melodramatic but catchy. The rest of the music wasn't terribly memorable to me which means it must fit in very well and helped move the film along. You can see my music video with photos and the main theme song here. 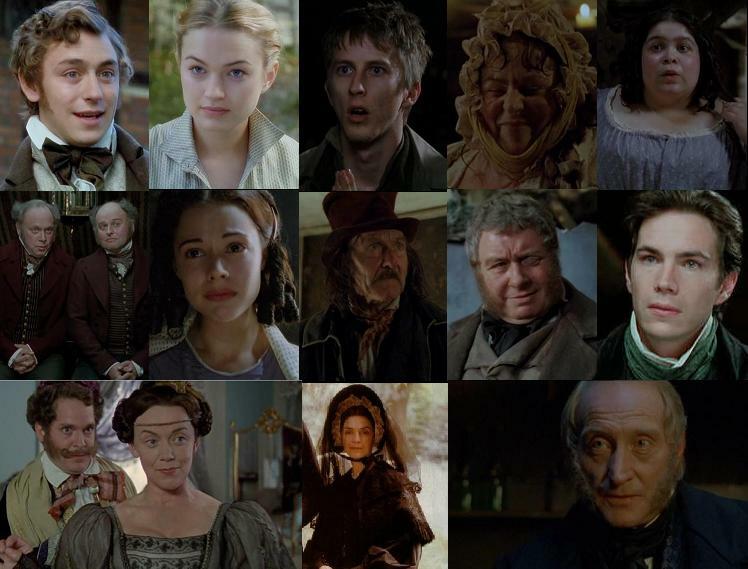 Actors In Their Roles: A cast of talented and fairly well known actors bring Dickens's amazing characters to life. 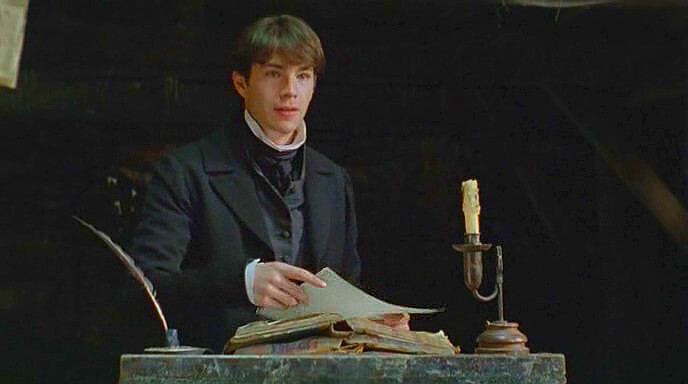 James D'Arcy as Nicholas Nickleby - Nicholas is a kind, sensible and brave young man and one of my favorite Dickens heroes. I've always liked James D'Arcy and love the way he brings out Nicholas's kindness, especially to the young boys in his care. He's the perfect Nicholas Nickleby! Charles Dance as Ralph Nickleby - Charles Dance is always so convincing with the villainous characters and I really enjoy seeing him as Charles Dickens characters! Sophia Myles as Kate Nickleby - As much as I love Ramola Garai her portrayal of Kate in the 2002 adaptation wasn't my favorite. Sophia Myles portrays a sweet, earnest, kind and brave young lady who is quite a heroine in her own right. Lee Ingleby as Smike - Smike is such a tender soul and it takes a talented actor to portray him. Lee Ingleby's delivery of the lines, sickly appearance and even the way he cowards in corners hugging his knees is so perfectly Smike! Katherine Holme as Madeline Bray - I did not at all like Anne Hathaway's portrayal in the 2002 movie so anything would have been an improvement but Ms. Holme is so completely sweet that you can't help but like her right away! She's devoted to her father to the point that she is to marry a very seedy old gentleman which makes for a slightly scary scene but Nicholas comes just in time. The romance between Madeline and Nicholas moves slower in this version and is very sweet and I'd assume it's told as in the book where he hesitates in trying for her but still helps her bravely. J.J. Feild as Frank Cheeryble - Frank is given a bit more time to develop in this adaptation and we see that he is a worthy match for Kate. Many will remember Mr. Feild's charming portrayal of Henry Tilney in Northanger Abbey (2007) and he's quite as "nice" in this role. The Cheerybles - They are so kind and cheery! I love the way that they echo each other as they scheme and help others. They dress and wear their hair the same and are so much fun to watch! The Squeers Family - Overall I enjoy this pack of Squeers quite a bit. Gregor Fisher as Mr. Squeers is has a blurry eye that is a bit disturbing but his portrayal is very good (I mean good for a bad character). Pam Ferris as Mrs. Squeers is a bit scary. She reigns supreme over her husband and the school of boys but her dresses are often very low cut and the couple together are a bit too fond of each other. Debbie Chazen as Fanny Squeers is in a word hysterical! Her silly swooning over Nicholas always cracks me up. If you've ever seen this version then you'll know the meaning of "It's broken! ", it makes me giggle just thinking about it! This Squeers Family are all overweight which adds to the appearance of their cruelty, eating all the best while the schoolboys starve. The Mantalinis - Tom Hollander portrays Mr. Mantalini and Marian McLoughlin portrays Madame Mantalini who run the dress shop where Kate works for a time. They have some funny quirks but overall I'm not very fond of them. Mr. Mantalini is too fond of staring at the young seamstresses and Madame is so jealous of any of the young ladies who gets noticed by the customers more that her. They are a crazy pair! Sir Mulberry Hawk & The Scoundrels - Dominic West plays the evil Sir Mulberry Hawk who is Kate's tormentor. He runs with a group of other spendthrift scoudrels who include actors Tom Hiddleston and John Hopkins. Sir Mulberry's treatment of Kate marks one of the few rather inappropriate scenes in the film. Not content with embarrassing her at her uncle's dinner table he follows her to her uncles billiards room and steals kisses and embraces before her uncle interrupts. There is also a duel scene which includes some of the scoundrels which is interesting. My Recommendations: I highly recommend this film but there are a couple scenes that some might want to fast forward through if you're watching with your family. When Mr. Squeers brings Nicholas home he and his wife are quite amorous. The scene I mentioned with Kate being kissed by Sir Mulberry. And perhaps Mr. Mantalini's nonsense. There isn't any language and no other inappropriate themes that I can recall. I recommend this film to anyone who loves the story, Charles Dickens and period dramas. The Life and Adventures of Nicholas Nickleby (2001) is available to rent on DVD from Netflix.com and can probably be borrowed from local libraries. New DVDs are not currently available for purchase on Amazon so if you see a copy I recommend snapping it up because it's becoming a rare find here in the USA. It used to be on YouTube but I can't find it now. One YouTube user does have what they call a long trailer in 6 parts with clips of the more important scenes. Have you seen The Life and Adventures of Nicholas Nickleby (2001)? What do you think of James D'Arcy's performance? I love this version of Nicholas Nickleby, it is one of my best loved period dramas. In my humble opinion, this particular version of NN is simply the best ever. The actors' portrayals really brought the characters to life just the way I imagined them to be. The person who did the casting must be applauded. I looooooooove this adaptation!!!!!!!!! Hands down....my favorite! I actually watched this quite recently and really liked it, so it's very nice to see a post about it! It's been a while since I've watched the 2002 adaptation, but if my memory serves me right, I liked this one much better. 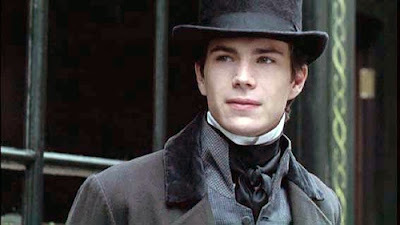 James D'Arcy is a really good Nicholas and the ending is sooo lovely! I must say though NN is probably not my favourite Dickensian tale, but I haven't read the book yet, so I might be judging prematurely! I have to compliment you on a beautiful blog! From your header, to your pics, to your writing...very nicely done. I haven't watched this yet, but you've made it a must for me! Was actually looking for some feedback on the book, which was showcased among some other Audio book award winners on this last week's Book Report radio show. Pleased I found your blog though. For others who have not yet read the book, why not take a listen to the archived show (bookreportradio(dot)com) to get a feel for it. You will also find the schedule and listings of the 7 stations it is aired on-quite a nice show for getting a feel for books you may otherwise have bypassed. I think this is a wonderful adaption of the book, which I've also read! 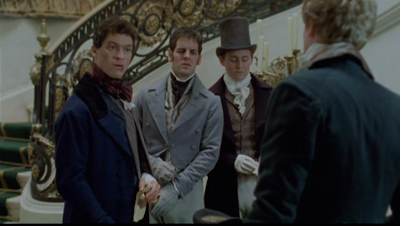 It kept in all the necessary bits, and most of the characterizations are like straight from the book in my opinion, especially Nicholas and Ralph Nickleby. BTW, I also wanted to say I really enjoy reading your blog, and in addition to the really good text, it also looks so beautiful! I love period dramas, my favourite period is Victorian. It would be really great if you took a look at my blog, it's quite new so not loads to read yet. It's musicandmymind.blogspot.fi. Thank you for stopping by! Whether you're new or a blogging friend I hope you enjoy your visit and come back often! Hi there! I'm Miss Laurie of OldFashionedCharm, a 20-something modern day girl striving to live every day for the Lord Jesus Christ. 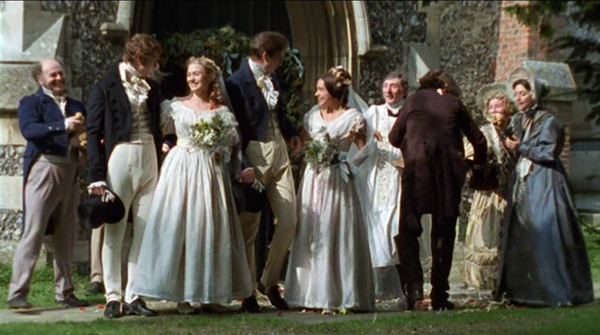 This blog is dedicated to sharing my love of Jane Austen, period costume dramas, classic literature and everything old-fashioned. My prayer is that what I post will be fun, interesting and a blessing to you! Stay and have a cup of tea while you browse! 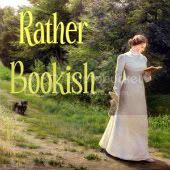 Want to know about a period drama, request a film review or invite me to guest post on your blog? Jane Austen Quotes Quiz - Answers! Irish Period Drama Quiz - Answers! Louisa May Alcott Unscramble Game - Answers! Jane Austen Quote Game - Answers! Jane Austen Heroine Week at Elinor and Emma! Music videos and links to watch period dramas. Check out our Tumblr for old-fashioned art and period screencaps. For period drama funnies and other period drama eye candy. 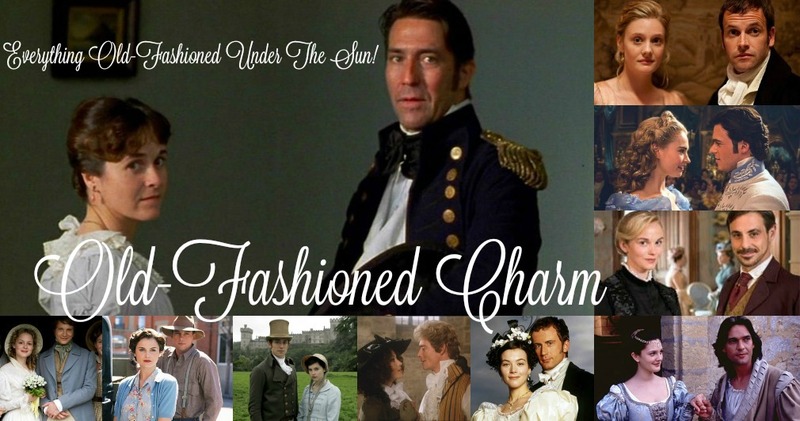 I contribute to: A Collection of Character Profiles from your favorite period dramas!